We’re more than halfway through the summer of Setmore ‘18. Square integration beta invites will be going out soon, so keep an eye on your inbox! Also, our mobile team made some special enhancements to the way you book and manage your appointments. For more details, read the full deployment notes below. We’re getting everything ready and onboarding some users into the Square beta. Thank you to everyone who signed up in last month’s deployment notes post! The response was overwhelmingly positive, and we can’t wait to share our progress with you. If you haven’t received your beta invite yet, don’t worry! We’re issuing just a few invites to start and and more as the beta goes on. If you signed up for the beta but haven’t yet given us your Google or Apple ID yet – we’ll need this info in order to set up your Setmore account with beta access. A follow-up message was sent to your Setmore account earlier this August, so if you haven’t already, check your in-app messages. For mobile users, go to More > Support > Chat History. Once the beta test concludes and the Square integration goes live, we’ll make a big, official announcement here on the blog, on social media, and with a personalized in-app message. So don’t worry! When the time comes, it’ll be hard to miss. Note: Square beta testers must be in the US, Canada, UK, and Australia. Our next releases for iOS and Android will be deploying by the first week of September. 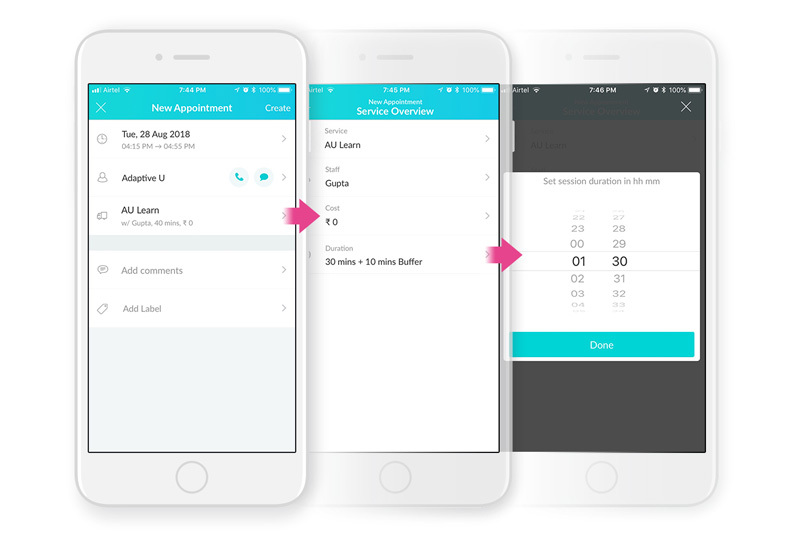 When the next version drops, you’ll be able to set a custom appointment duration in the mobile app. We’ll also be updating the appointment details window with enhancements that reduce the screen length and reorder information in a way that’s easier to consume and use. Tap on the appointment you wish to update. Tap on the service, then from the Service Overview window, tap the duration. Use the rolling selector to set a new duration in hours and minutes, then tap Done and save your changes. Want to benefit from these updates as soon as they deploy? Make sure you’re running the latest version of Setmore and that you have auto-updates enabled on your phone. Fixed an issue that caused some appointments booked from the Booking Page to not properly display on mobile devices. Fixed an issue that caused some class attendees to not show in a class session. When deleting a class session, the session will now be removed from the calendar without requiring a browser refresh. Customer Email is now a required field by default when customers book a class session through your Booking Page. Fixed an issue that caused in-app notifications to falsely show that an attendee was added to a class session. Customers may now reschedule or cancel appointments from their Customer Login when accessing your Booking Page from a mobile device. Fixed an issue that caused some instances of Setmore to freeze if a user closed the Available Times menu when creating a class session. Fixed an issue that caused some instances of Setmore to freeze if a user created a class session from the Settings menu. .ICS attachments in Setmore email reminders will now properly convey customer location data. Making a payment for an appointment will now update the appointment’s label to “Paid” as expected. Committed to increased transparency and more responsive community outreach, Setmore will post monthly development updates to showcase some of our work and improvements made over the past 30 days. Have a feature request? Post a comment below or email us at help@setmore.com. Good to see custom appointment adjustment coming to mobile!, can’t wait for the iPad app. –Your product is already nice and has great potential, keep up the great work! Also, we aren’t currently accepting more candidates for the Square beta, but our launch date is fast approaching. Thanks again for commenting! Also the iPad app will be an awesome addition! I am interested in adding Square to process my payments. Great updates, setmore has come a long way in 2 1/2 years we’ve been using it! Now you’re allowing for appointment time duration adjustments it would really add value if you could make it possible for multiple services per booking and beyond that discounts rules applied for multiple service bookings. Awesome work! We would love the ability to schedule multiple appointments. We sell 3 and 10 appointment packs and it would be great for them to be able to schedule these without us having to manually do it on the backend. I have a few issues that if eliminated would be GREAT! 1. Clients are experiencing an automatic switch of appointment date without their knowledge. – Several have been under the impression that one date was selected, but on my end it is a different day. I’ve not personally been able to recreate the situation, but assume that it may be additional services no longer allow the originally requested date available. If this is the case, it is preferred that they receive notice that an appointment on the day requested cannot accommodate ALL services requested, or something to that affect. 2. Allowing clients to schedule one appointment for multiple services and receiving only ONE reminder for all services scheduled (perhaps indicating a starting time for all services scheduled). – Some clients (particularly new ones) are under the impression after receiving multiple reminders that they can show up at any of the appointment times in the reminders. This creates a huge time management problem. I don’t want a client’s first experience to be a denial of service. I don’t want the remainder of my day to be a train wreck and have all my clients waiting. I definitely don’t want a decrease in revenue, trying to compensate for all of the above. Hi Latessia, regarding your first issue – that’s strange app behavior for sure. What is indicating to your customers that the appointment is on a different day? Can you get one of them to forward you a copy of the appointment email confirmation or reminder that shows a different day than what is in your calendar? This will help us sort out the issue. As for item #2 – we are aware of this issue with our platform. I’ve had a few requests to change the app behavior so this doesn’t happen, but I can’t say if or when the development team will start working on it. They have a number of other projects right now, including Square, which is taking up most of their time. Fingers crossed though. 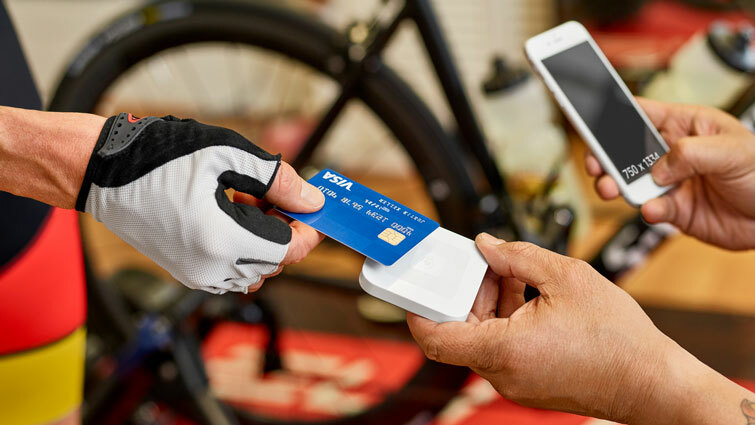 How much does square charge per transaction? can it be used for deposits? would like to see an option where, different staff can have different payment sources, by that I mean, I own the shop but I have one guy renting a chair who uses the setmore app, I want to give a payment option but I believe there can only be one payment source per account and not per staff member? You’re correct, you can only connect one Square account to one Setmore account. If you’re using one Setmore account to manage multiple rent-out chairs in a single salon, there’s no way to divvy up the payments per service provider. I hope that helps clarify things!